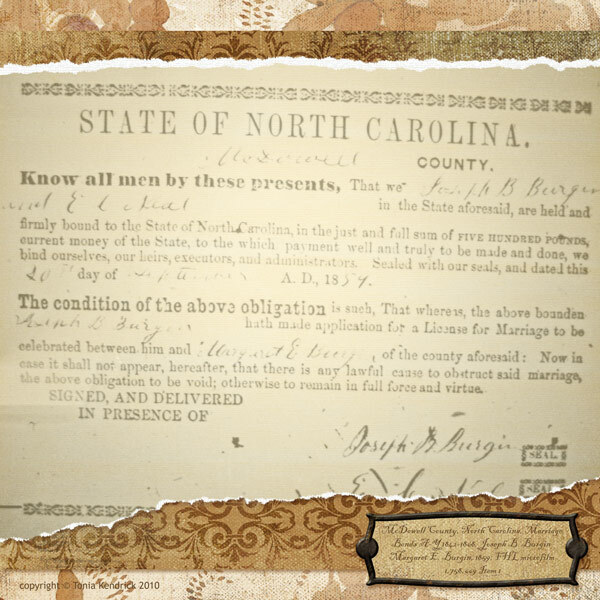 On this date in 1859, Joseph B. Burgin obtained a marriage bond to wed his first cousin once removed, Margaret E. Burgin1. Their common ancestors were Benjamin Burgin and Leah Mann. Joseph was Ben and Leah’s grandson, via their son Alney Burgin. Margaret was Ben and Leah’s great-granddaughter; her father was Benjamin Logan Burgin and her grandfather was Major Ben Burgin. 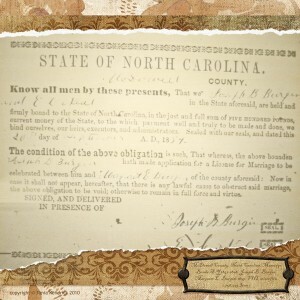 Benjamin Burgin and Leah Mann are my 6th great-grandparents, making Joseph my first cousin 6 times removed and Margaret my 2nd cousin five times removed. Margaret is also a step-cousin of mine on the Hemphill side; she is the granddaughter of Margaret Hemphill via Margaret’s first husband, James Young Dysart. Margaret is my 3rd great-grandmother. WOW …. this is so odd. I have two Burgin “cousins” that married also. Mine were located in SW Virginia. I don’t recognize any of your Burgins from my list, but it’s been a while since I looked at them. Great-Grandfather. My Father was Arthur Burgin Craig and his Mother was Annie Burgin who was the daughter of Joseph. Hi Locke, so nice to hear from you!